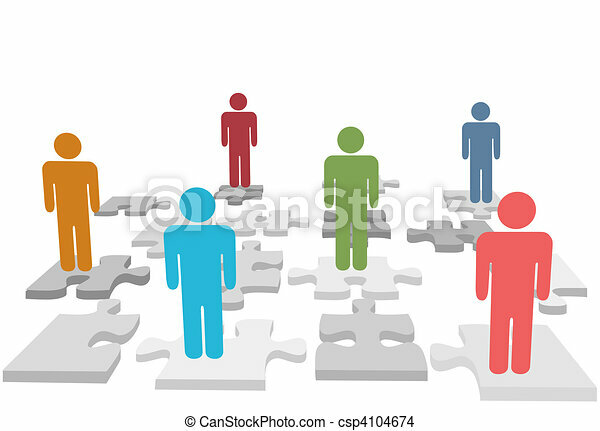 Human resources people stand on jigsaw puzzle pieces. 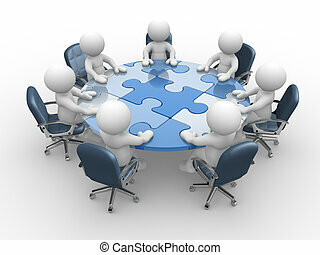 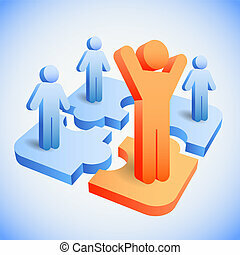 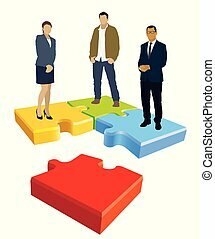 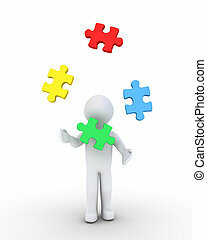 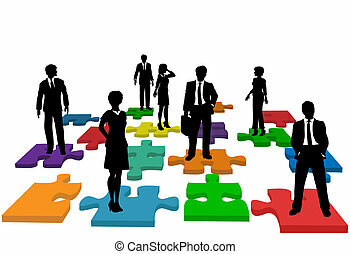 Human resources issues and other people issues and find solutions on jigsaw puzzle pieces. 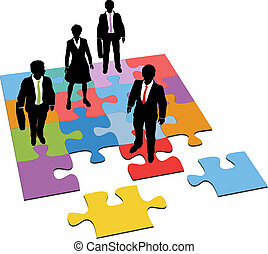 Human resources issues and other people issues and find solutions on jigsaw puzzle pieces. 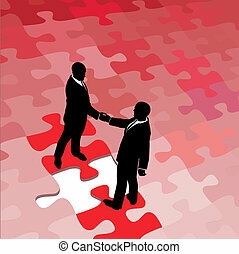 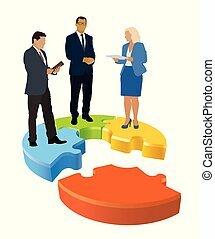 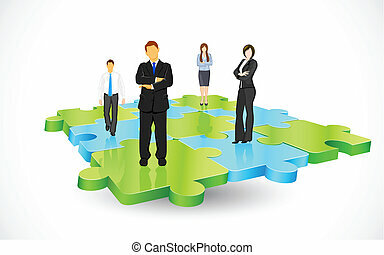 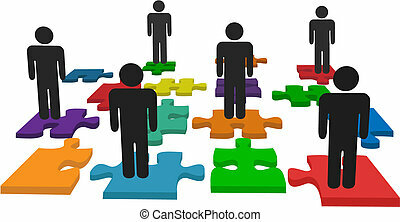 Businesspeople are standing on jigsaw puzzle shown as an organizational structure of the company. 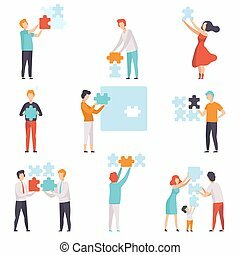 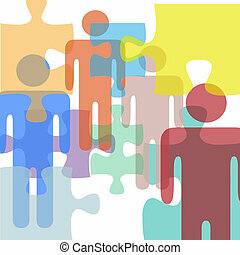 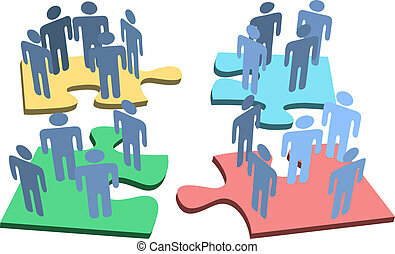 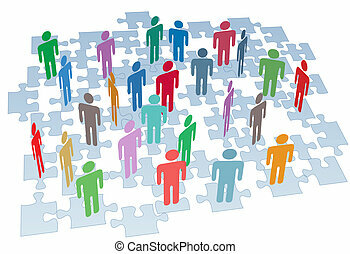 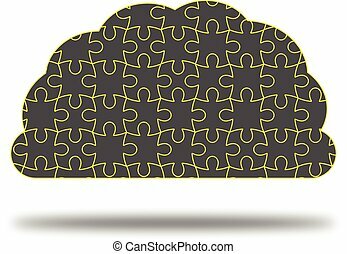 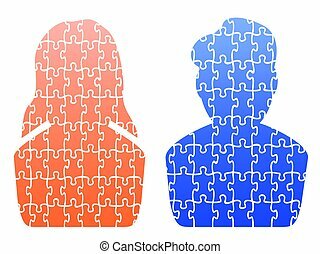 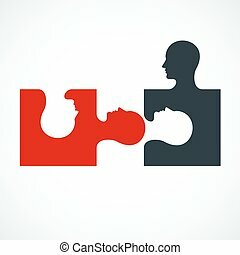 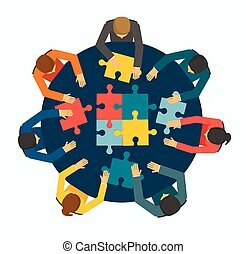 People connecting puzzle elements set, men, women and kids putting jigsaw puzzles vector Illustration isolated on a white background. 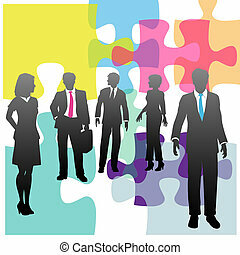 Business concept puzzles with human profile. 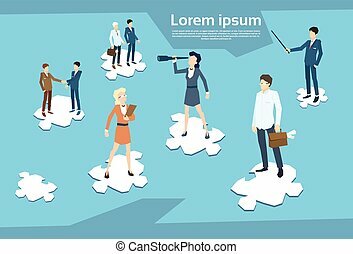 Flat vector cartoon illustration. 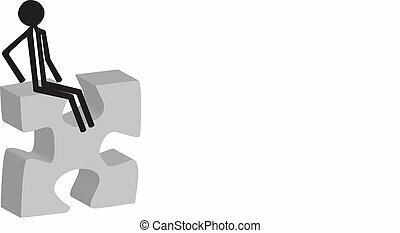 Objects isolated on a white background. 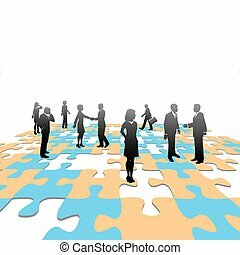 Symbolize human resources issues and other people issues and solutions with symbol people on jigsaw pieces, which actually form a puzzle.